Magna Carta Recent News: More Photos of Dave Martone and Glen Drover Live From Metalworks posted. 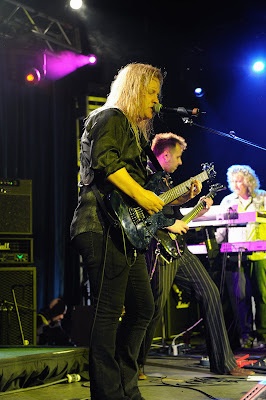 More Photos of Dave Martone and Glen Drover Live From Metalworks posted. Magna Carta Recording Artists Glen Drover with Jim Gilmour on keys, Paul Yee on bass and Chris Sutherland on drums preforming during the historic webcast "Live At Metalworks" September 25 in Mississauga, Canada.